You know how I'm always going on about the high street and the insane things you can find if you really look? Well, I'm about to do that again, right here and right now. Apologies in advance. It's all about this red dress. We all know embroidery is sh*t hot in fashion right now. The trend shows no sign of slowing and if anything is nearing its saturation point. Let's just say this.... this will be the last summer I'll probably buy into this theme. So, I'm trying not to spend the big money as I really want pieces that will last me through the end of the summer and that's about it. 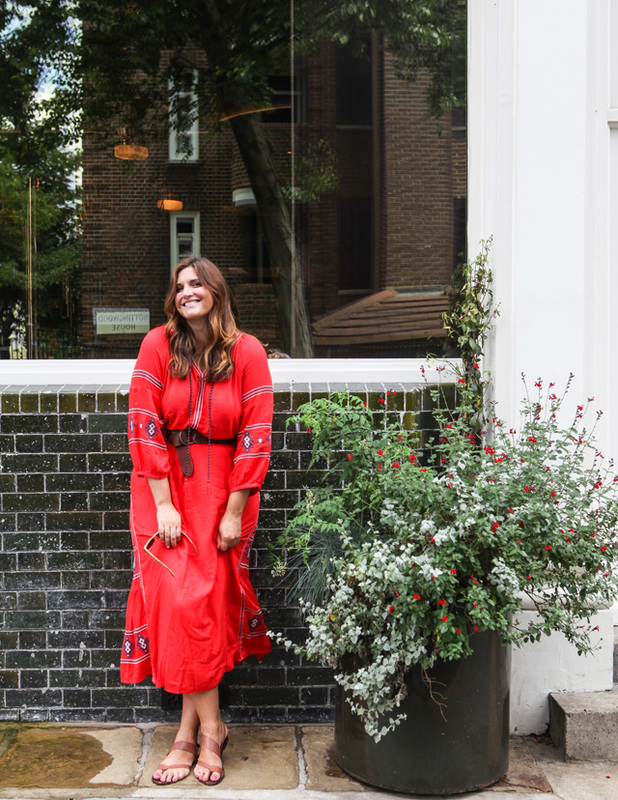 Which brings me to my latest piece, the NEXT red embroidered maxi dress. It's £58 or $75 and well worth spending every penny involved. You will wear this until it is your last summer day, and may even try wearing into fall with a jean jacket and some big brown boots. I'm in love and wearing weekly!